****** 3/4 Ton *** Crew Cab *** Leather *** Heated Seats *** This truck is optioned like a Lariat, but has a price tag $7000 less than a Lariat. 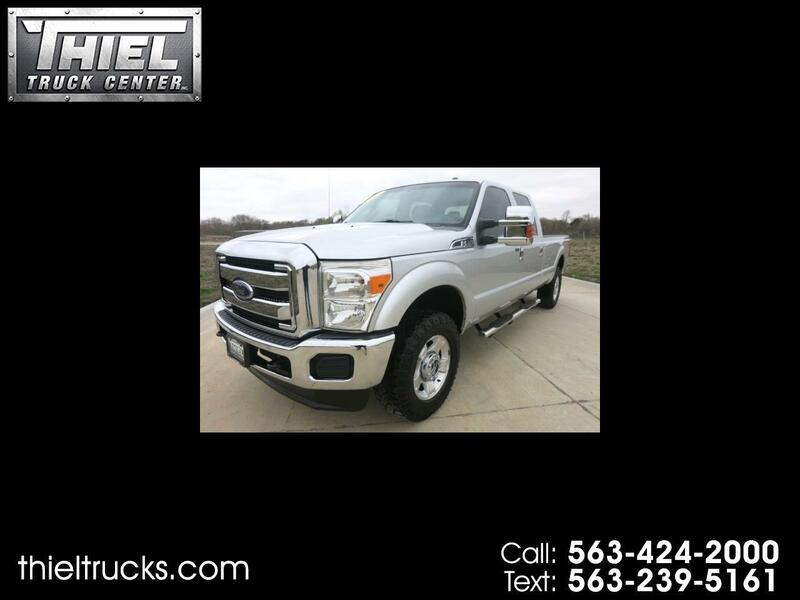 2014 Ford F250 Crew Cab 4x4 XLT Long Bed with only 72,000 miles. You will not find a better optioned truck for the price. The F250 is optioned with Leather interior, Heated seats, Power seat, Bucket seats, FX4 Off road package, Back up camera, Spray in bed liner, Step tubes, Sync Bluetooth, Tow package, Tow mirrors, Trailer brake controller, Tailgate Step, Remote start, and much more. If you need power to pull your camper or trailer, this one has it. Under the hood is the big 6.2L V8 engine producing all the power you will need. The F250 is also a Carfax Certified 1 Owner and 100% accident free. It also comes with all service records and Goodyear Wrangler tires with over 50% tread remaining. This is a hard to find truck at a great price. Call us or text us now to schedule your viewing.